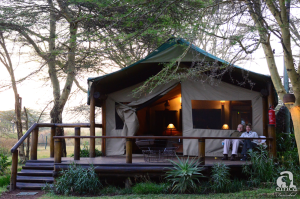 The camp is owned and run by Willy and Sue Roberts, whose legendary hospitality and understanding of all things ‘safari’ have created a stunning environment for this lovely tented camp. 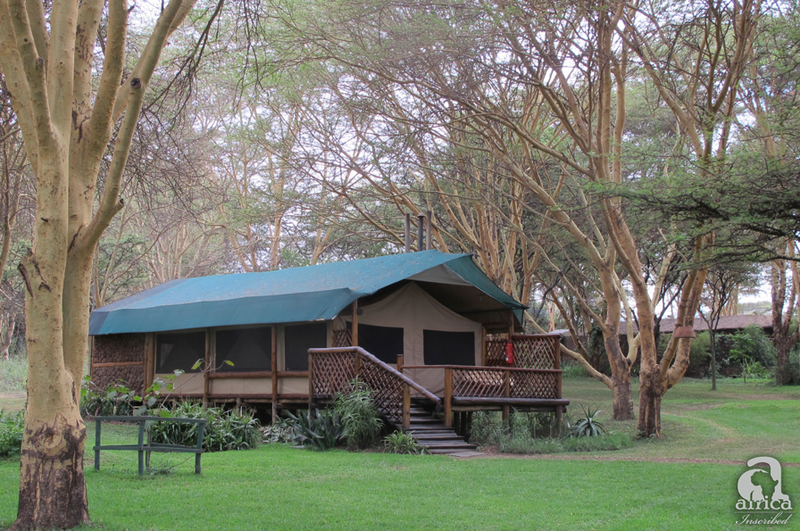 The permanent tents are on raised decks facing across a treed lawn towards a natural waterhole, and although the camp is fenced (two strands about five feet above the ground allow zebra, rhino, buffalo etc..in to the camp) it only keeps elephant and giraffe out! Four luxury, tents face out over the lawn. 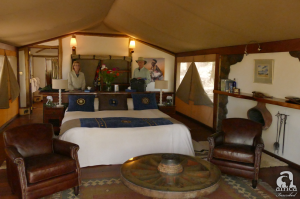 Each is furnished with either a double or twin beds, a Mexican stove for warmth in cold winter months, comfortable chairs and cushions, a thick carpet in the bedroom, and the en suite bathroom and a wardrobe area is at the rear of the tent. A window looks out from the bathroom. Here, twin vanities and a shower, a separate loo and ample room provide enough space and refinement to satisfy every need. The main lounge dining area is a short distance away, with a comfortable lounge and gorgeous sitting room and dining room adjoining each other with of course a small service bar too. 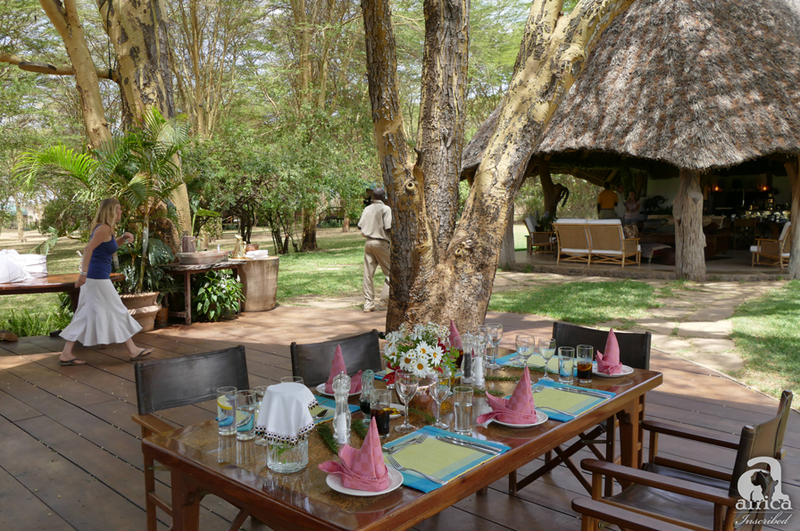 The main dining area is out in front on the raised area overlooking the waterhole. This is under a buck sail, strung underneath the fever trees! 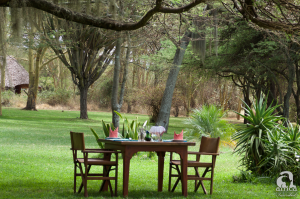 Absolutely wonderful and most meals are taken here with various wildlife within easy visual reach at all times. SIRIKOI HOUSE and SIRIKOI COTTAGE. 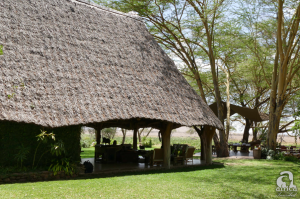 These thatched camps are only minutes apart by foot, and built out of solid stone and mortar. 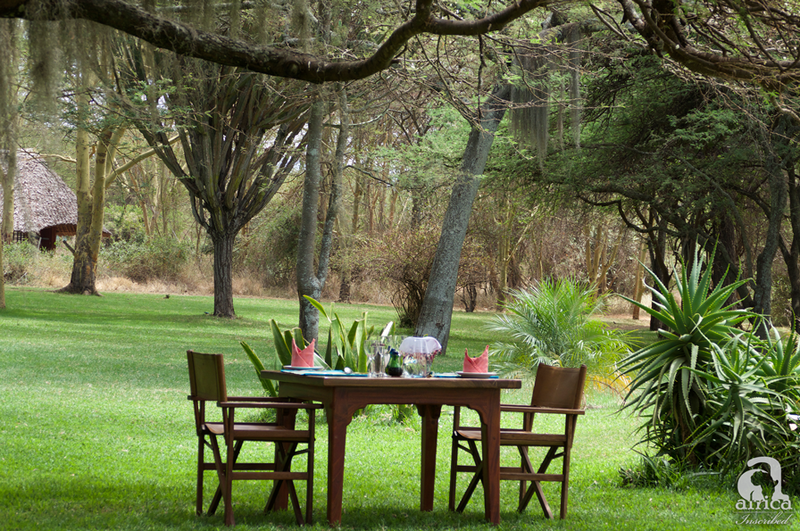 Furnished brilliantly with a contemporary colonial style and a degree of panache not associated with safari camps, these are ideal for families or small intimate groups. 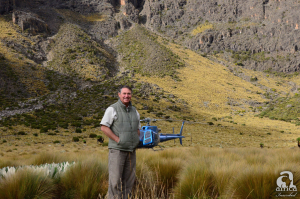 The wildlife experiences here are tops! All of the Big 5 are well represented here, although lions are not always easy to be found as they commonly rest up in thick reed beds and thickets during the day. 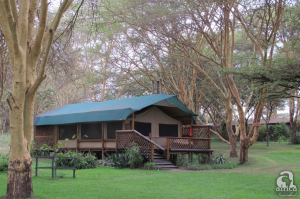 The conservancy has the highest concentration of Grevy’s zebra left in Africa, Reticulated giraffe, gerenuk, and Beisa oryx are specials that may be seen too. Painted dogs pass through periodically as well. 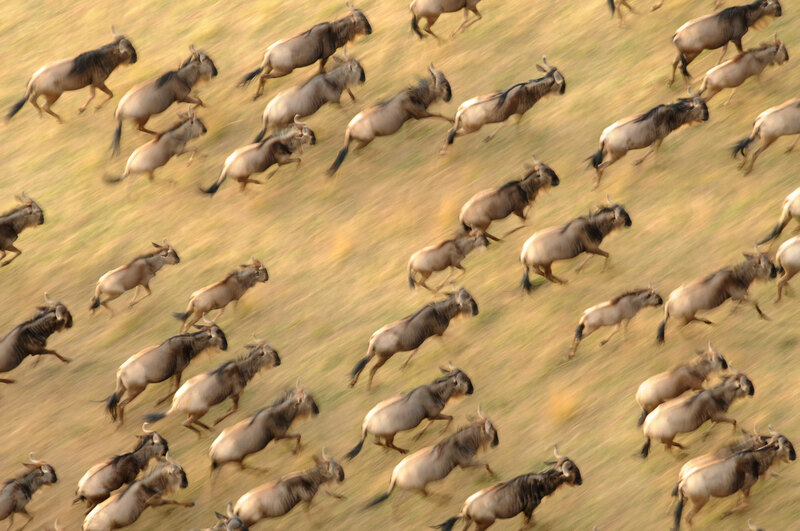 Only Grant’s gazelle is found here, of the gazelle group, but Lesser kudu, klipspringer, Defassa waterbuck, Plains’ zebra and Coke’s hartebeest are some of the other species found here. 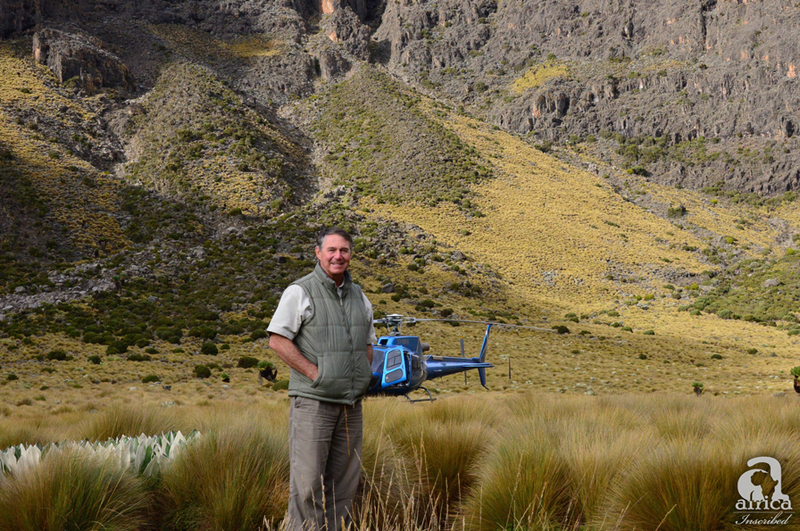 Helicopter flights may be undertaken onto and around Mount Kenya, and into the surrounding plateau gorges like Sekota. Walks with an armed scout are also good to do. Some cultural visits may also be taken to the nearby communities which are supported by the camp, and the conservancy too. Depending on availability, flights in an original bi-plane by Willy Craig may be organized. 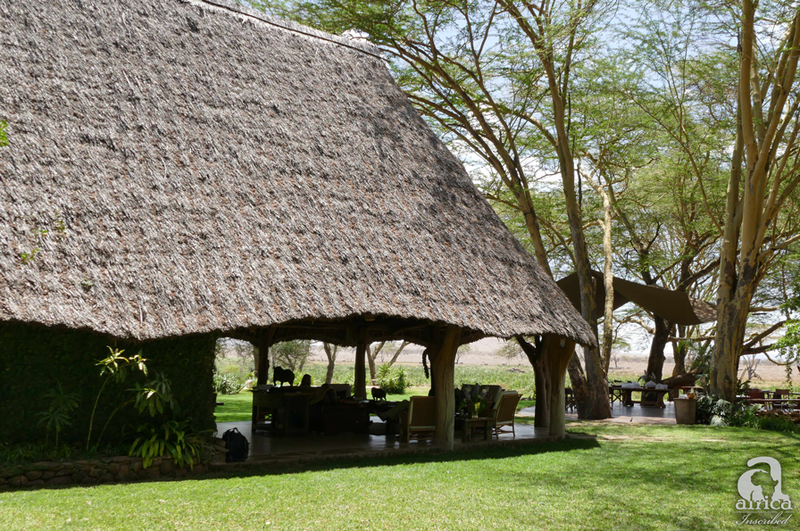 The Sirikoi-Lewa association is a familial one and spans decades of association, and are strengthened by marriage too! 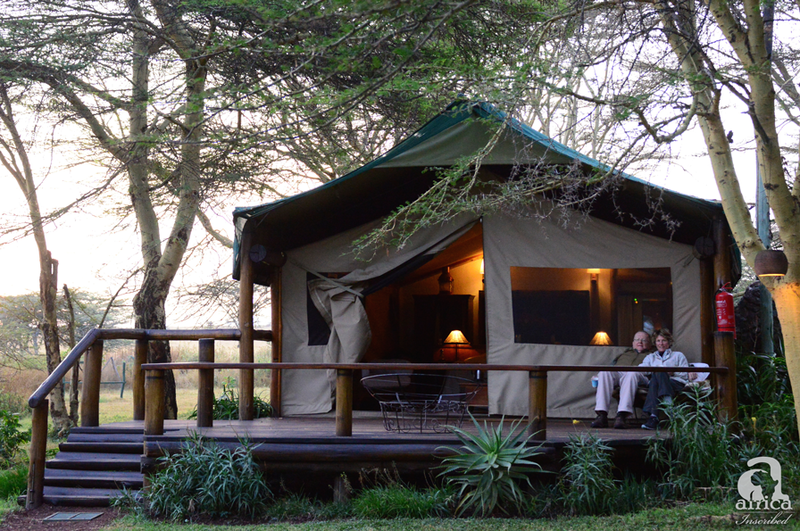 The experience here is second to none other in East Africa, and should always be included on a East Africa itinerary.